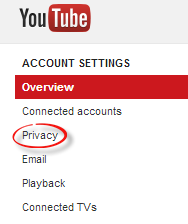 How to choose privacy settings on your YouTube account and videos, and what the different privacy settings mean. Set your account privacy settings, such as who can see your liked videos. Step 1:Sign in to YouTube. Click on your name in the upper right corner. 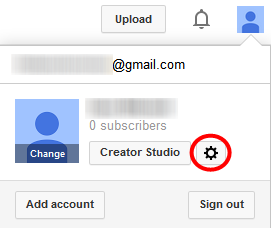 Click on the YouTube settings cog, located next to Creator Studio. Click Privacy from the Account Settings menu on the left. Choose your Likes and Subscriptions privacy options. Click Save on the left to apply your privacy options. Choose your video privacy settings while uploading a video, or change the settings of the videos you have already uploaded. Public means anyone can search for and view your video. Unlisted means only people with the link to your video can view it. Private means only you can view the video, and you can choose specific people to view it. Instructions on uploading videos. Instructions on editing videos that have been uploaded. 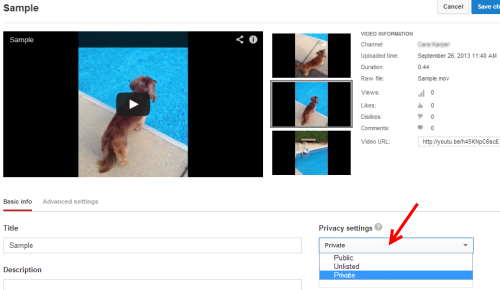 When uploading a video, you can choose your privacy settings before uploading or while the video uploads. 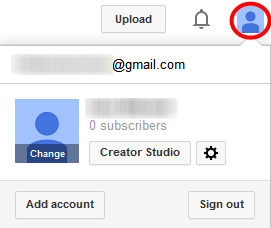 While editing a video, you can change the privacy settings under Basic info.